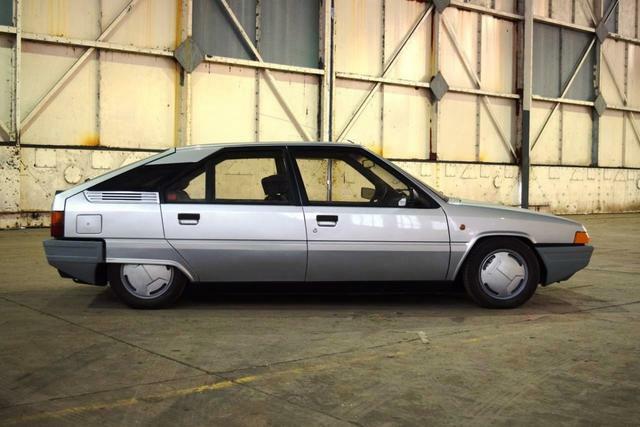 This year, I'm running regular polls on Twitter to see what folks want me to create and February's winning selection is the Citroen BX (January's was the Austin Allegro). Here's where you lovely people come in, I hope. I'd be interested to know which models you'd like to see artwork created for. Usually, for non-commission items like this, I'm limited to 2 pieces a month because of other work obligations. I've been considering a low spec Mk1 in a bright colour and a high spec late sporting model of some sort, in a more subdued colour. Something a bit like these two examples. Your input would be appreciated, especially if I'm somewhat wide of the mark with what would be appealing as a print. Wow, the rear arch on that Sport is ugly. 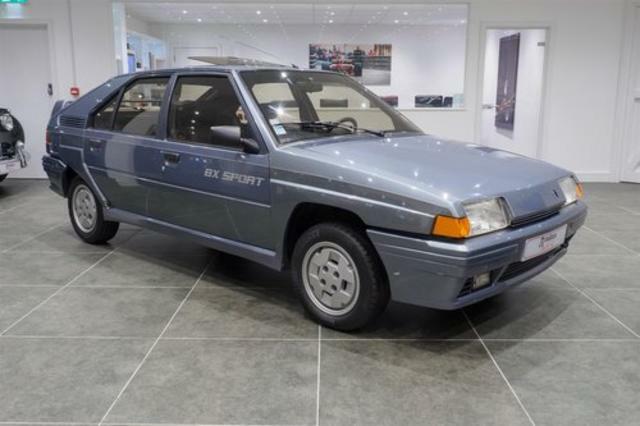 Yes me too not keen on the Sport, whereas the 2nd pic, Mk1 with Meteor look is v. attractive for a BX. How about a Hurricane ? If you want them to sell, you need a 16v as that's the most desirable one overall. I'd have a ph2 16v and a mk1 of some sort, possibly a GT in burgandy or something like that. What is it visually that sets the 16v apart from the rest of the range? Is it just the wheels and bodykit? I would say the highest spec mk1, a 16v, or even a service van thrown in for good measure. Doing my research for reference material and I've learned there's an awful lot more differences in trim on the BX than I previously realised. I'm a bit confused on trim arrangement for the 16v. I had thought they all had the chunkier C pillar vent trim and the slimmer rear spoiler, like this one. Then I found a few that weren't like that, and instead had more of a GT approach to these items with the slimmer vent trim and the big 'pram handle' spoiler. I know I'll be doing some sort of Mk1, some sort of Mk2, a sporting version, an estate version, and something less usual like the service van suggested. This month I'll certainly be doing at least on BX of some variety, hopefully I'll have time to create two. Got the inking work done for the Mk1 variant. I'm undecided on colour so I've opened it up to a poll over on my Twitter, choice between silver, red, blue, or cream. Those seemed to be the most common colours available. I did find a really lovely metallic green example on my reference hunting, only the one, so I suspect Citroen didn't sell many in that shade at all. ...helps if I actually post the picture. Sorry I haven't been back on since. Ph1 - Hoop spoiler; Standard bumpers (with GTI front splitter); Standard tailpipe; Wheels painted silver; Earlier versions badged as a 'GTi 16v'. Ph2 - whale-tail spoiler and wraparound vents on C-pillar; Bespoke GRP front and rear bumpers (with a colour-coded pinstripe depending on body colour); Door mouldings enlarged (as per the TZ*) and painted Smoked rear lamps (as per standard BX update); Black exhaust backbox with oval tailpipe; Wheels painted graphite grey with the lip diamond cut. The ph2 is normally the one people think of, as it was more distinctive from the rest of the BX range. I would have thought black would be the most popular colour, but I doubt it'd convert into artwork very easily. Looks like I'm doing the ph2 then, since those are the best examples I can find references of for a piece that will look right to my eye and if that's the one most recognise it makes sense to go that route. I was thinking of going black or graphite with a red stripe. I'm moderately confident I could make black look right, though it is one of the harder colours to get right. Here's a black AX GT commission I did recently by way of example. In other news, I've got ink versions of the BX live in the shop now since folks wanted to see what that might look like in negative for black tee shirts, and positive for the look of the thing. I had a vote on the colour running and red won by quite a margin so that's what colour this will be going for that version. That number plate on the AX is very close to my old gti H963AAE, now there's a thing most likely registered on same day.